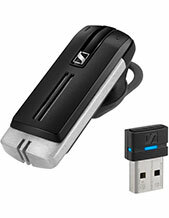 Plantronics Savi W430 Over-the-ear Wireless DECT Headset with USB Dongle is recognised to be the best-in-class PC audio device from the company. It delivers portability and convenience all in one product package. In addition to that, it also offers users the freedom to move around due to the extensive wireless range of the device from the PC. This makes it perfect both for remote workers and PC-based office workers. 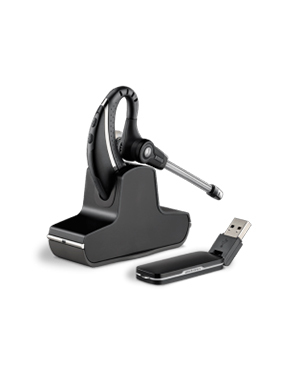 This Plantronics Savi W430 Over-the-ear Wireless DECT Headset provides users excellent audio quality supported by CAT-iq technology that delivers advanced wideband audio quality. 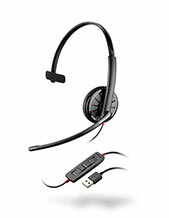 It is also embedded with noise-cancelling microphone that helps users have crystal clear conversations. And to top everything, it also offers users the comfort of wearing the headset for a long time. Do you want to own this headset today? Call us now at Australia wide 1300 131 133 and learn how to place your order online. Plantronics has become one of the industry’s frontrunners in the development and manufacture of consumer audio communication devices and solutions. Since its establishment in the year 1961, it has always focused its efforts in improve communications by introducing technologies and solutions capable of contributing to crystal clear conversations. This effort is still continued up to the present with the company’s operations. 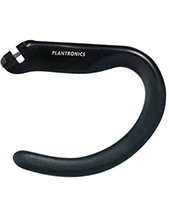 Plantronics is a consumer electronics enterprise that operates in the global market with its major headquarters located in Santa Cruz, California. Led by President and CEO Joe Burton, the company is able to operate excellently in the global market with the support of many partners, service providers, distributors, and retailers in over 80 countries located in North America, Asia Pacific Region, and Europe. In addition to this, the company has its manufacturing floors located in Mexico and China, which are all responsible for the production of all products and solutions offered in the global market by the company. Headsetsonline Pty Ltd is a leading Australian consumer electronics supplier and wholesaler that started out as a division working under a popular company known for delivering audio products and solutions to government and corporate sectors. It has become an expert in delivering what customers need due to decades of experience and time well spent building its powerful product portfolio. Headsetsonline offers both brand new and refurbished products and solutions in order to provide customers with the most affordable and the most advanced offers in the market. The company ensures that quality of the products it offers by choosing Australian distributors above grey imports. All of the products and solutions from these distributors are guaranteed to be Australian standards certified and to have warranties that are able to cover all of Australia. The entire product portfolio is displayed in the company’s secured and enterprise-encrypted site at Headsetsonline.com.au for customers’ easy access for skimming and purchasing.